Senior Annie Meitchik and her sister Katie, a freshman, helped set a Guinness World Record as part of the 2015 Great Kindness Challenge. 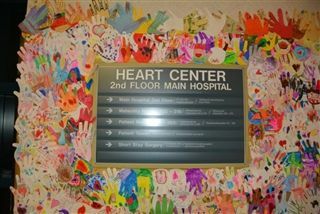 The challenge called for schools throughout the nation to submit colorful, cut out handprints, which were used to decorate the walls of the Dignity Health Glendale Memorial Hospital in Glendale, CA. The 181,946 handprints collected were used to cover more than 6,000 square feet of wall space. Both Annie and Katie submitted handprints on behalf of Pacific Ridge and helped to create the collage. The record-breaking work of art continues to brighten the spirits of hospital patients and staff.